Sometimes the only way to win is to get down and dirty. That's Mudfest. Hurtling over water at 60mph not exciting enough well, try this....WaterskiJumping. If you like to kayak and you like to surf this is the sport for you. KayakSurfing. Stick a jet on a board and what've you got? A PowerSki Jetboard. The need for speed takes some folks to crazy heights. Basejumping...the only way is down. Welcome to Flowboarding where the wave never ends. What’s the Shot, Drop & Slam? Adventure sport mayhem in less than one minute. A look at Adrenaline-pumping action that’s twice as fun as a Shot. Got time to savor a new sport? This is the one for you. 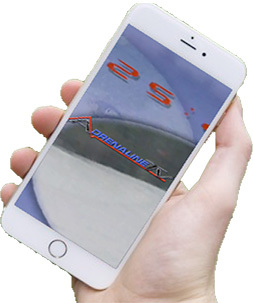 Stay on top of the latest Video Shots, Drops and Slams with the exclusive Adrenaline TV app for iOS and also now available for Android devices. You can watch all the coolest clips before anyone else and score points to redeem for trips, gear & prizes! Sporting events that give back! The Adrenline TV SWAT (Sports Women of AdrenalineTV) Team is looking for more amazing articulate sportswomen to tour the world of Action Sports adventures with us. You could become one too.